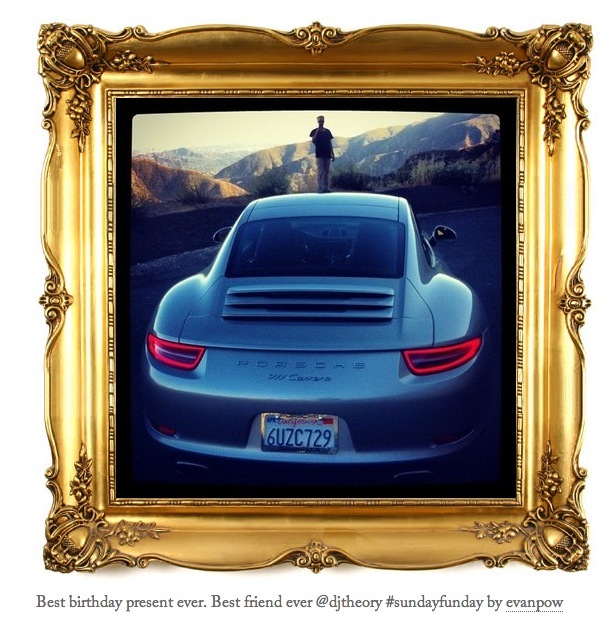 Want to know what insanely filthy rich kids post on Instagram? Barbies doing coke, luxury scarves, steam baths and private helicopter rides. If you’ve ever wondered how the other half Instagrams, then the tumblr Rich Kids of Instagram is the site for you. It chronicles the adventures of kids so filthy rich that they get Porches as birthday presents, don’t work, fly on private jets and dance in front of their mansion pools all day. The tumblr presents them lovingly in gilt frames, perfect for emphasizing just how crappy your pics of Starbucks lattes, worn flip flops and rescue dogs are. Seriously, all of these kids look like they’re walking around inside of an Abercrombie and Fitch catalog, or maybe LARP-ing some sort of new millennium American Psycho reenactment. Just go check out the site, totally worth it.